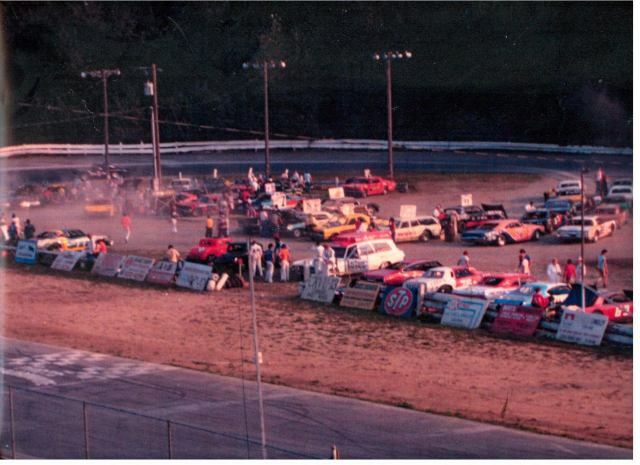 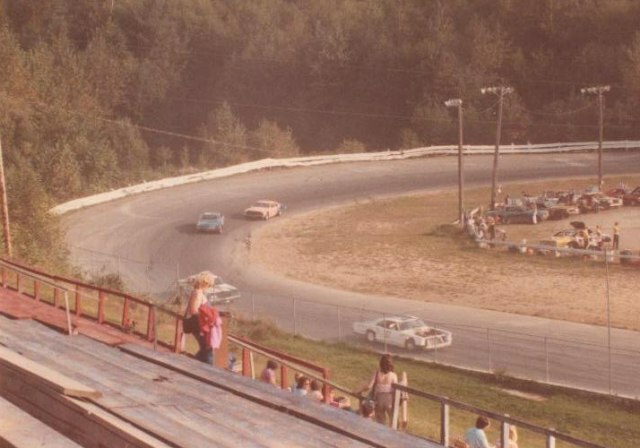 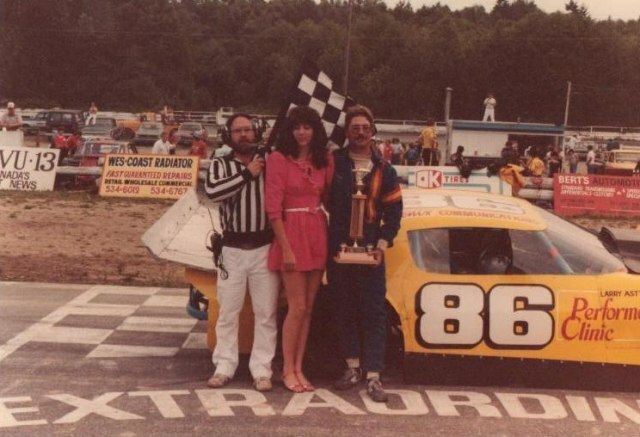 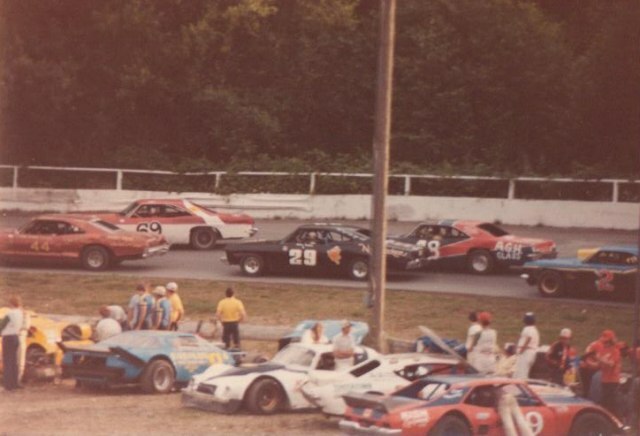 Langley Speedway, like Pinecrest in Ontario, is one of those legendary tracks that closed before its time and one that fans never forget. 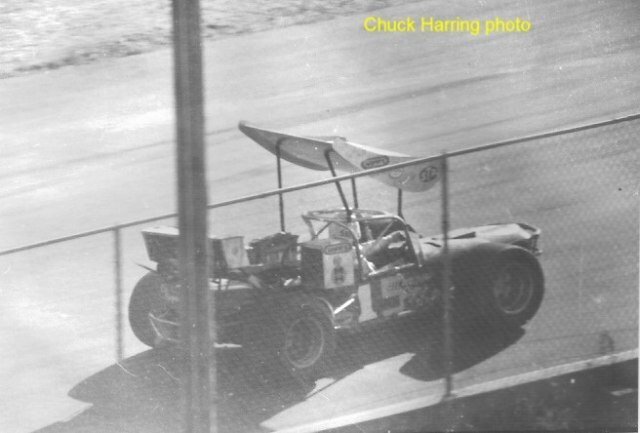 Bud Bussiere is a long-time Langley fan who visited the track in the spring of 2005 and sent these photos. 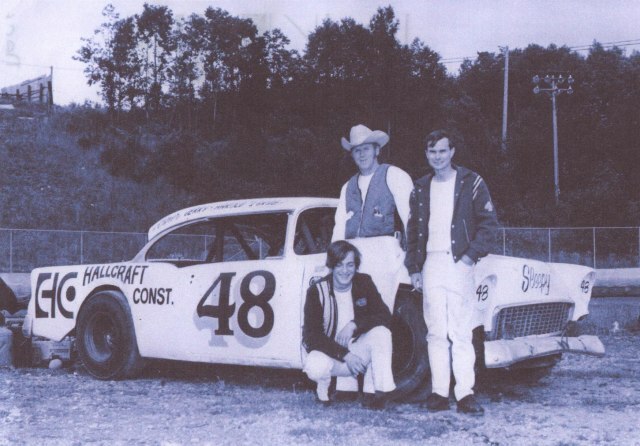 Langley opened in 1965, under original owner Craig Frazer. 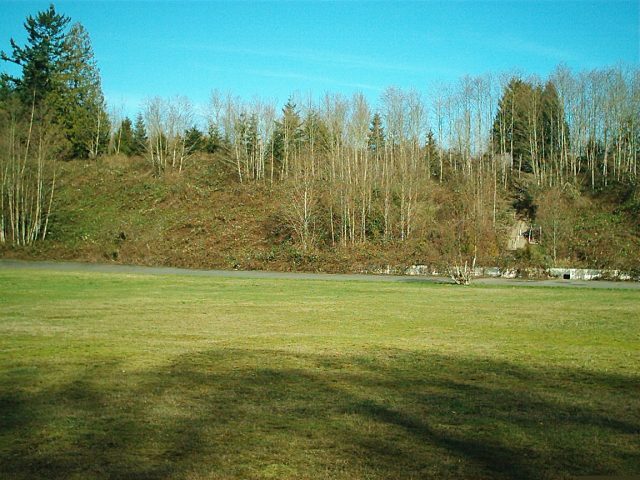 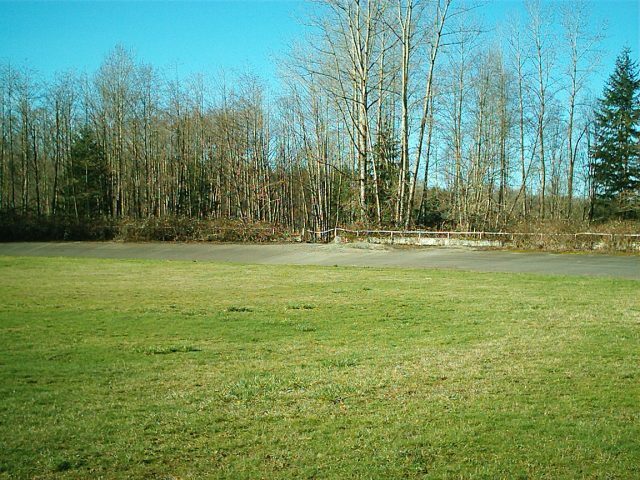 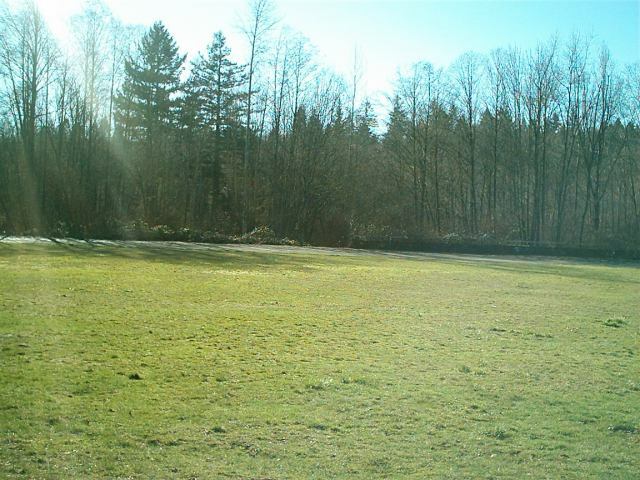 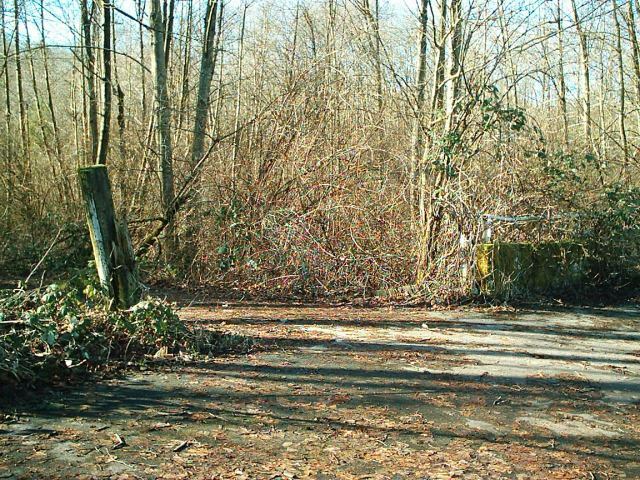 In 1969 the Vancouver-Fraser Park District (now the Greater Vancouver Regional District) bought up land with the intent to create a park. 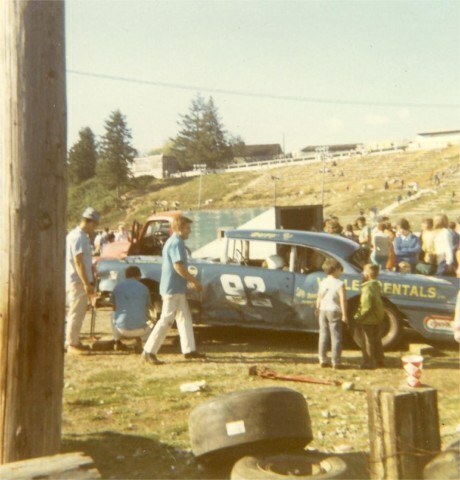 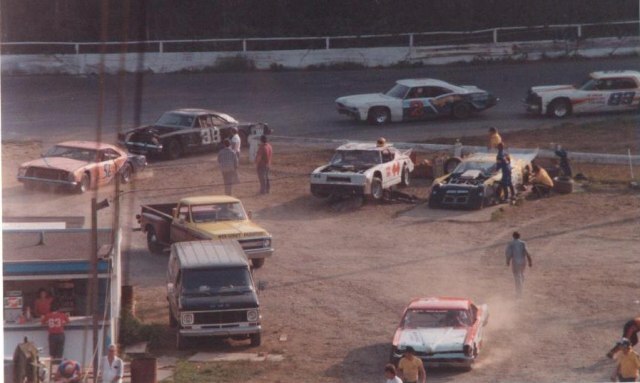 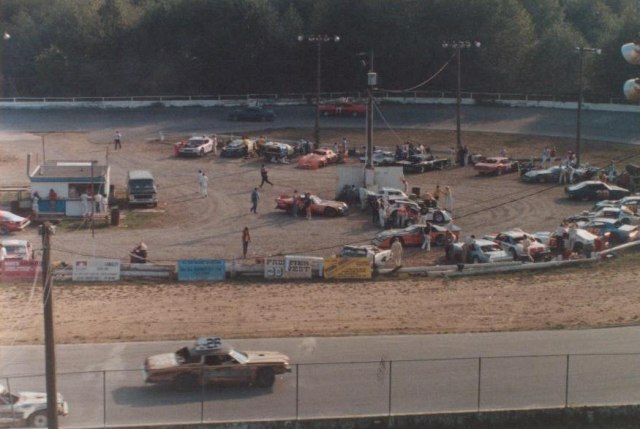 The land also included Langley Speedway. 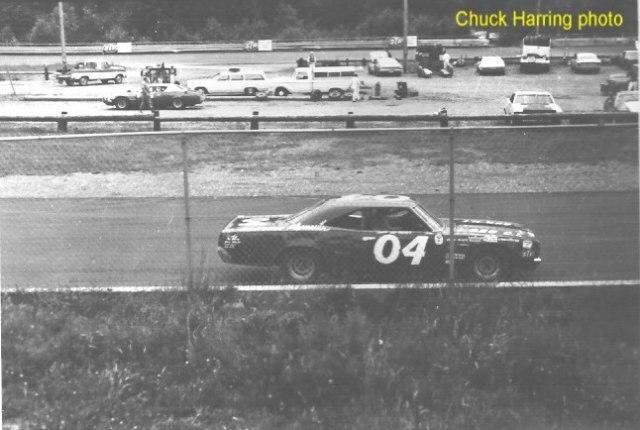 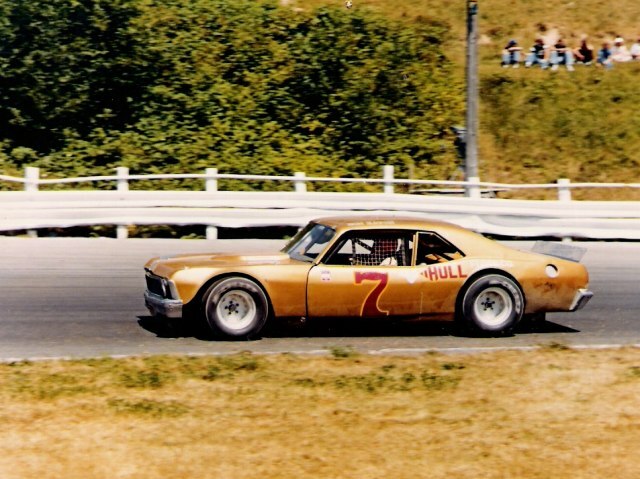 Frazer obtained a 10-year lease and continued to run the track until Gordon Hemrich took over in 1977. 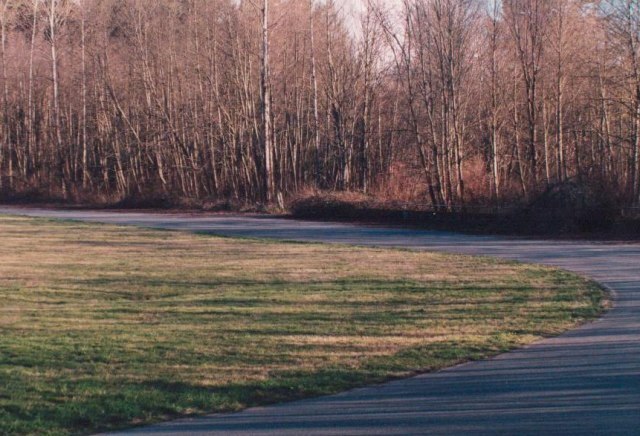 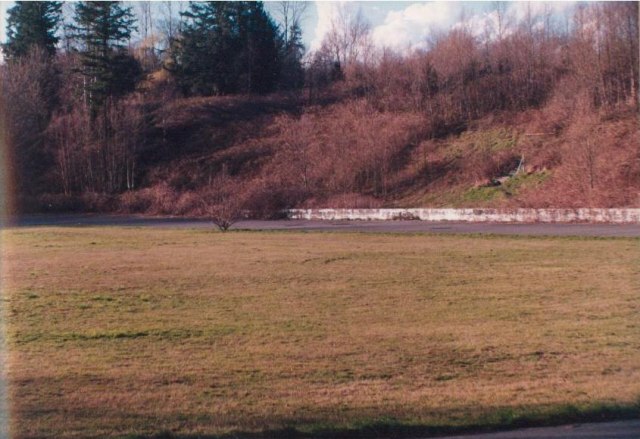 After the 10-year lease expired in 1979 the track came under increasing pressure from the City of Vancouver. 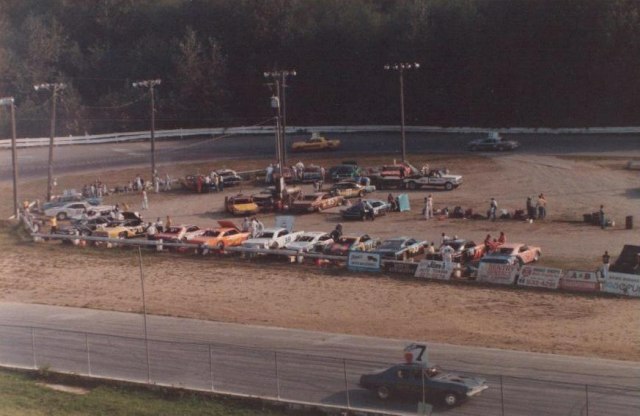 The lease periods became shorter and shorter with each renewal and there were more restrictions on numbers of dates, hours of operation, etc. 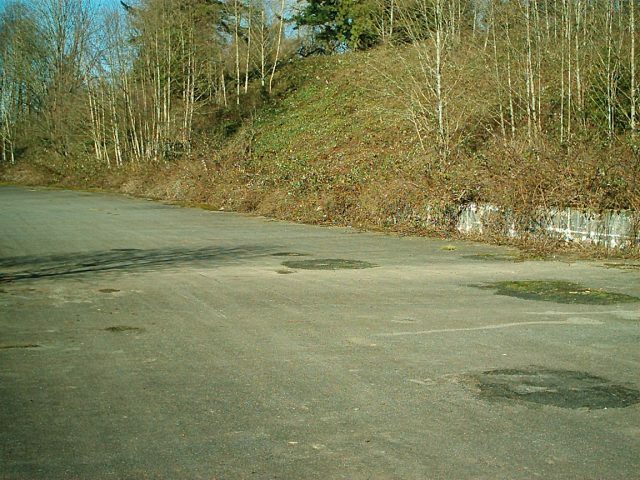 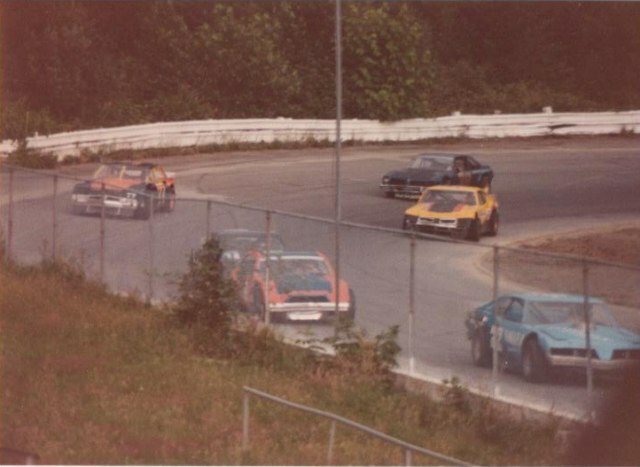 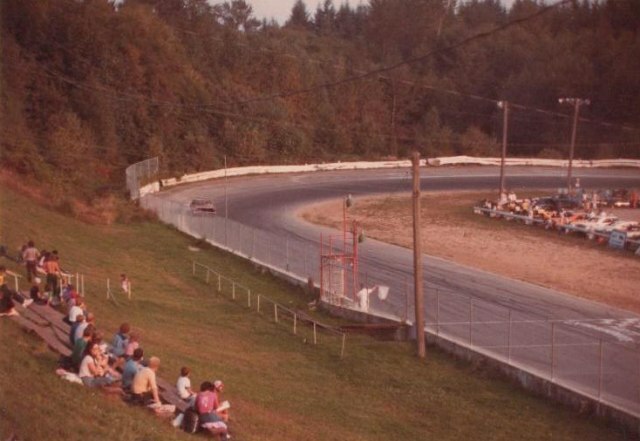 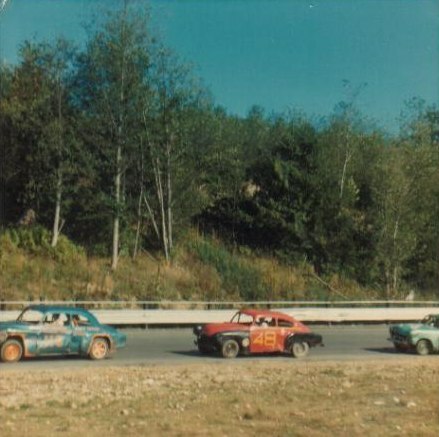 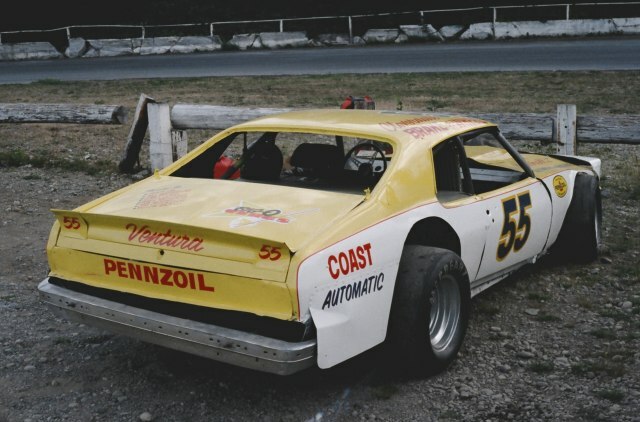 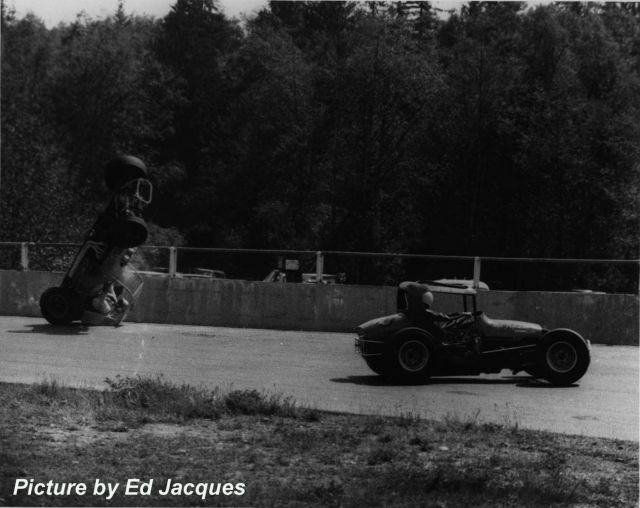 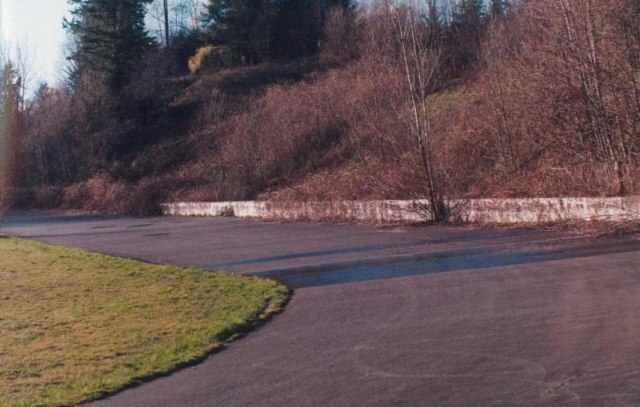 The Lower Mainland Oval Racing Association took over operation of the track in 1980 and changed the name to Action Raceway. 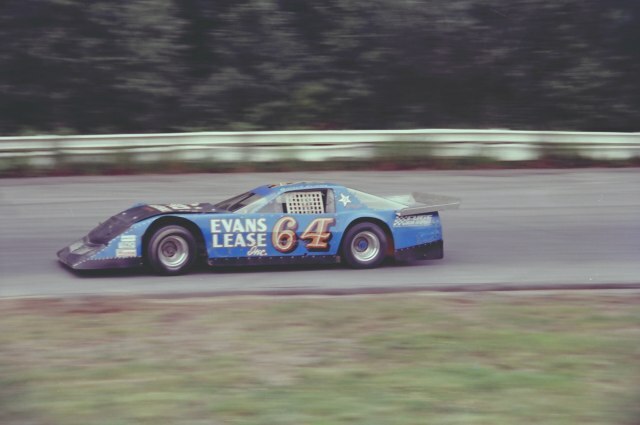 Finally, at the end of the 1984 season, the lease was not renewed. 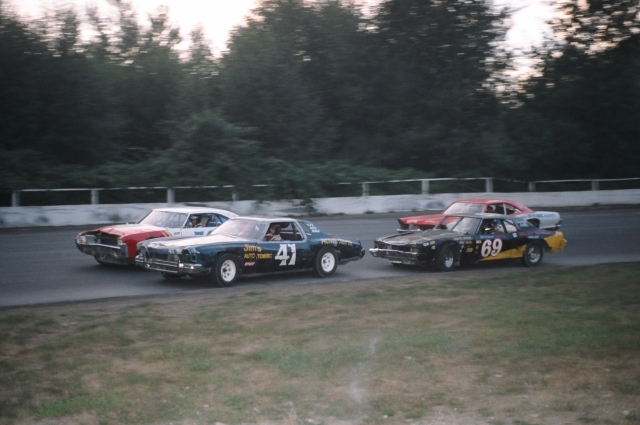 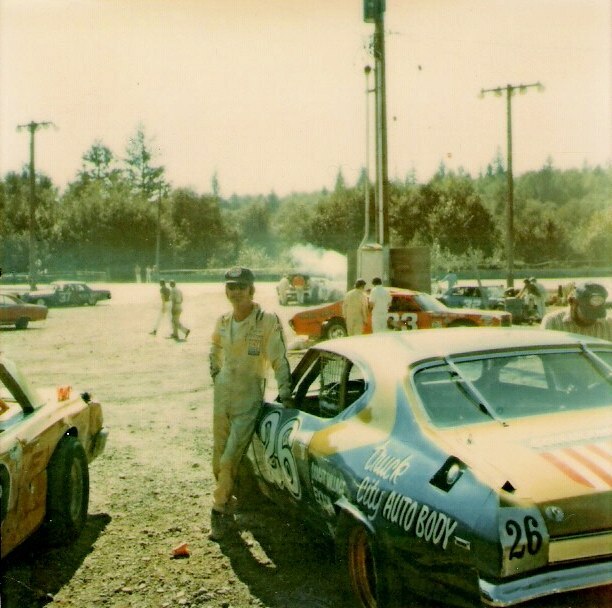 A wide variety of cars ran at Langley over the years. 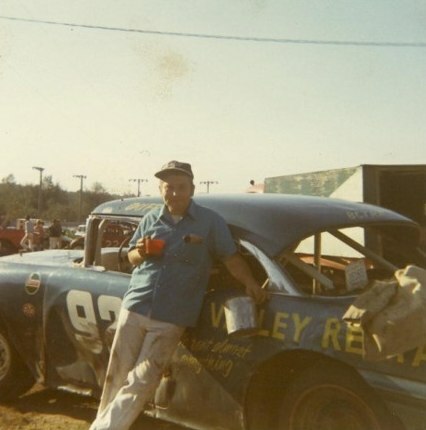 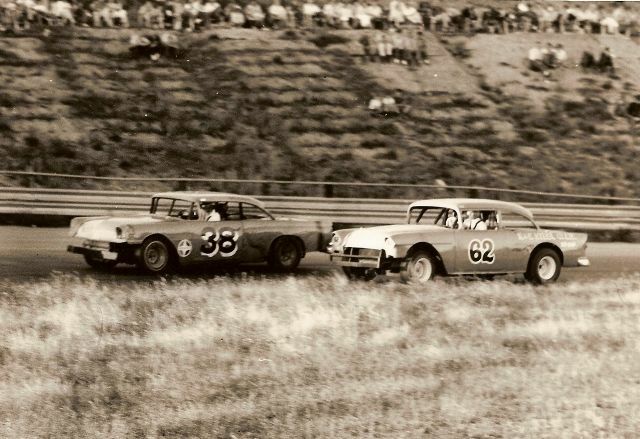 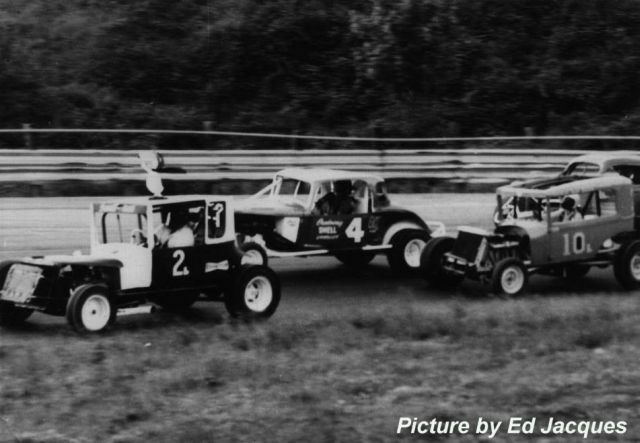 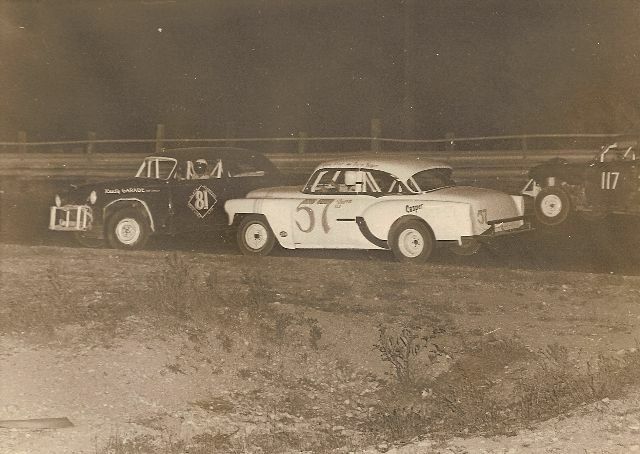 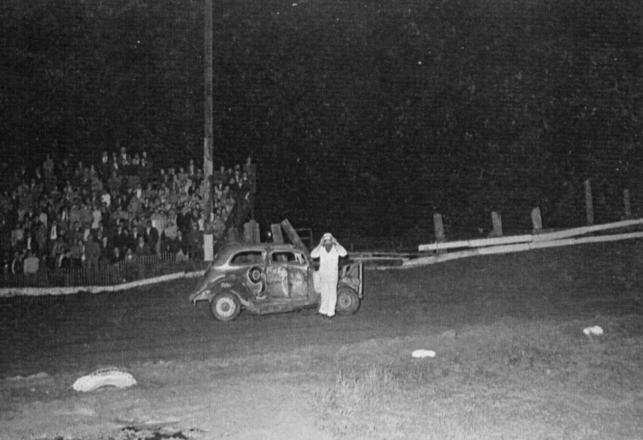 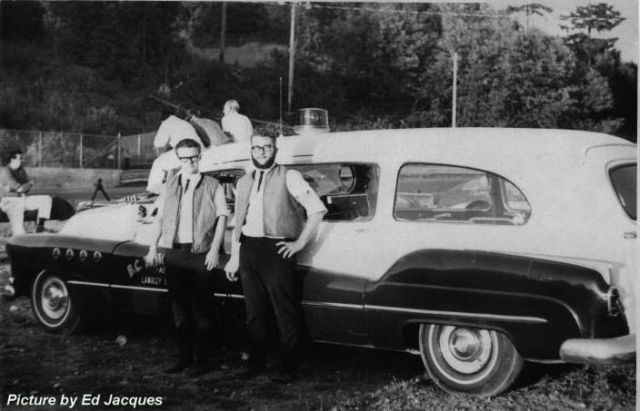 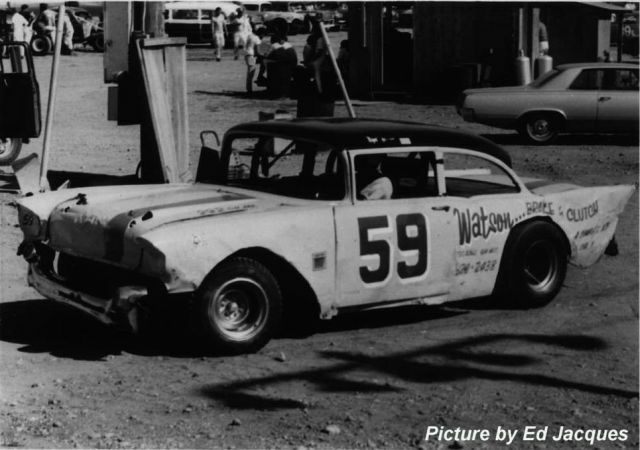 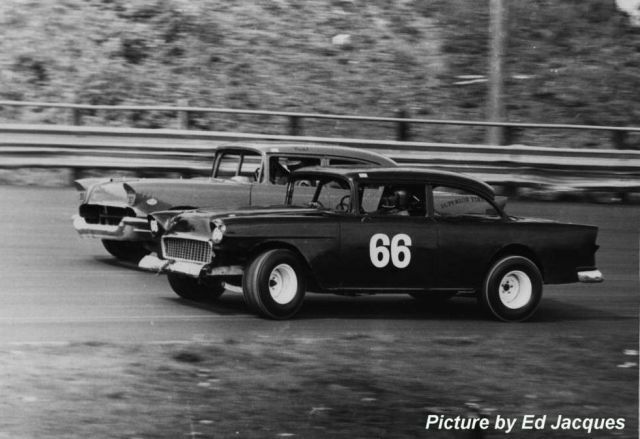 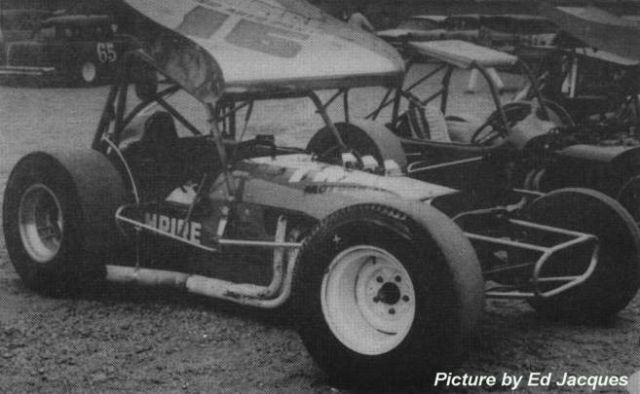 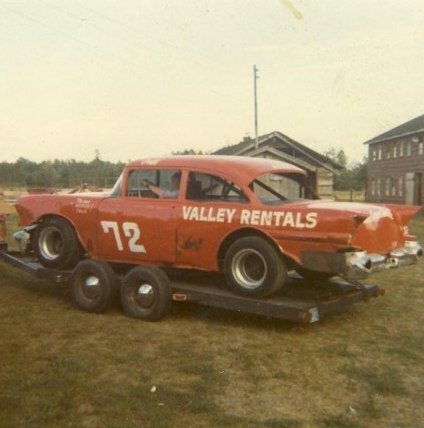 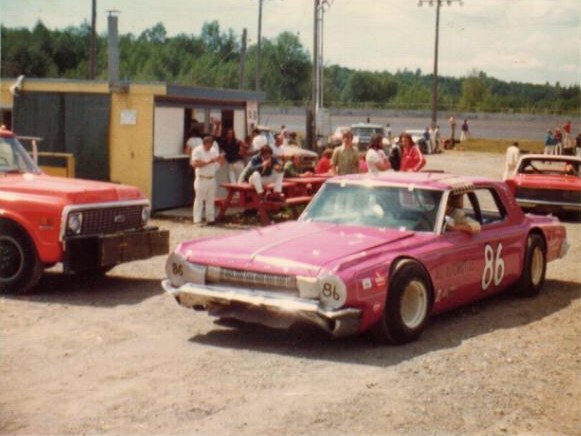 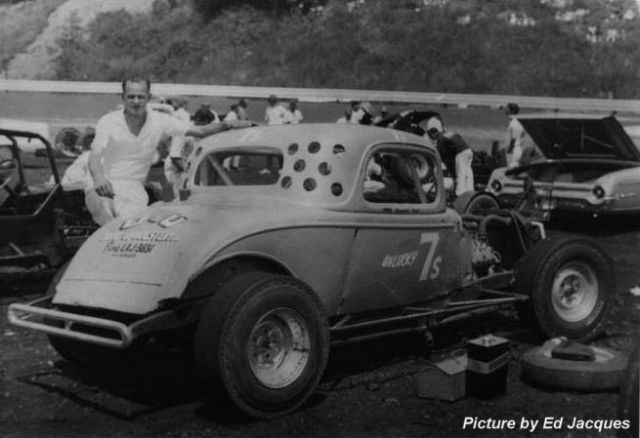 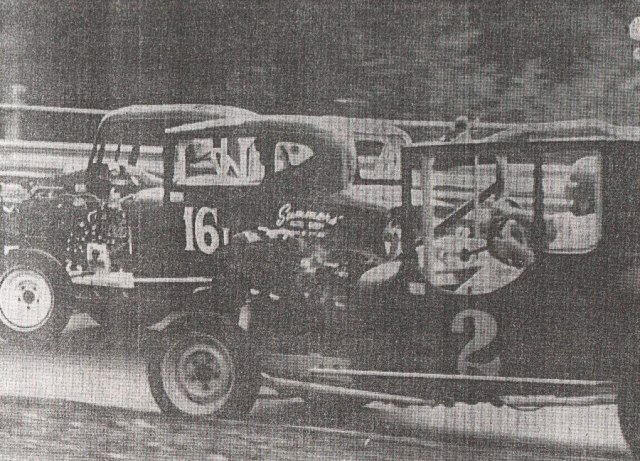 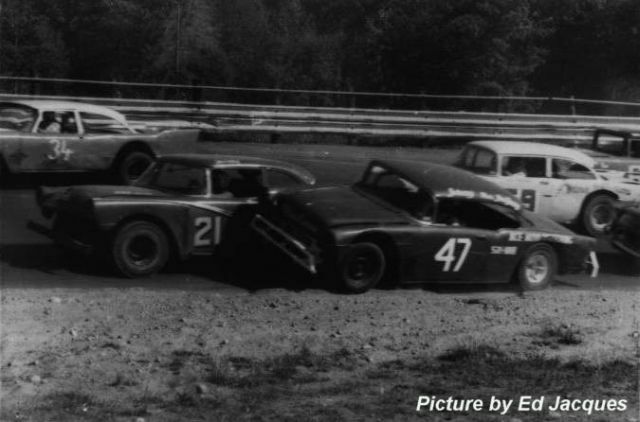 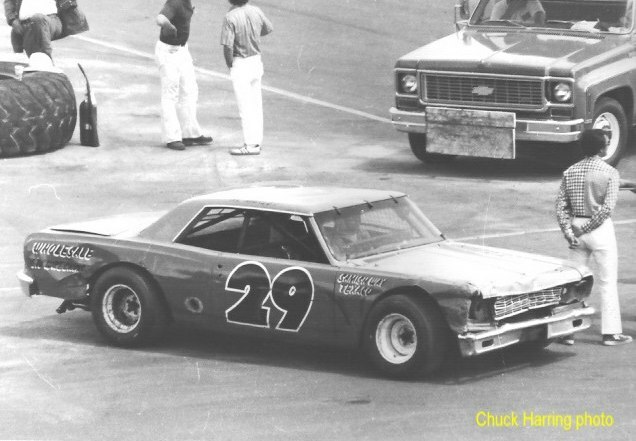 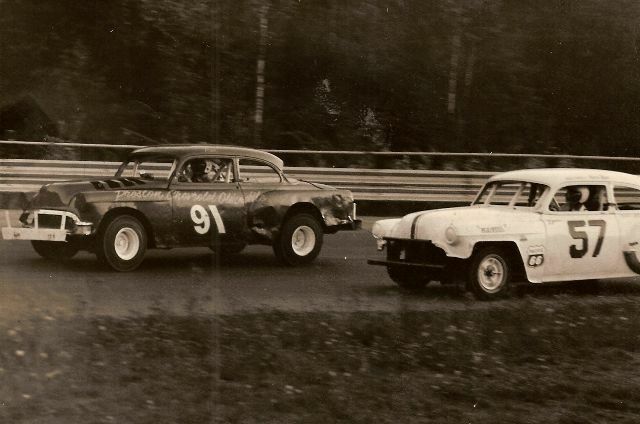 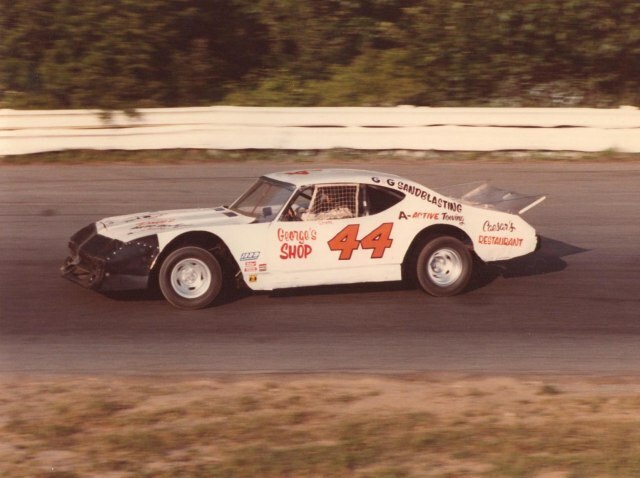 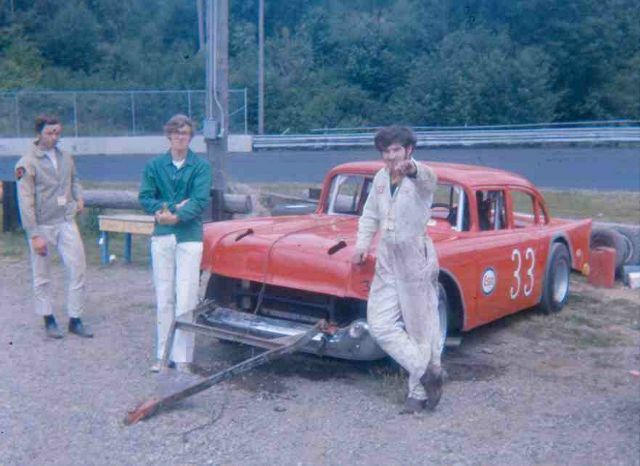 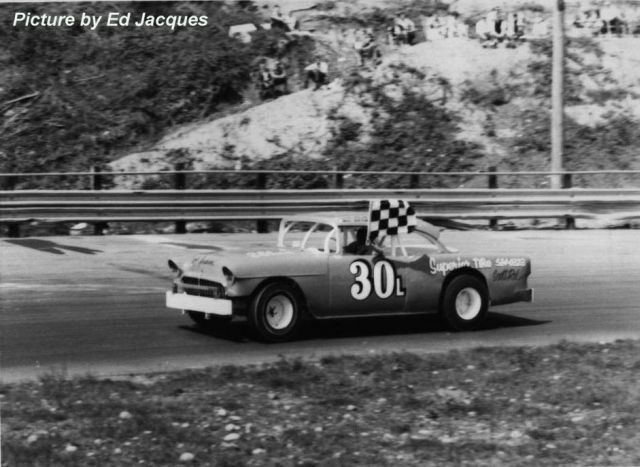 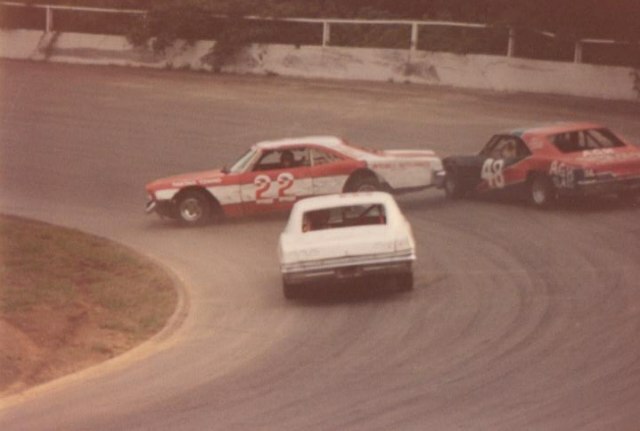 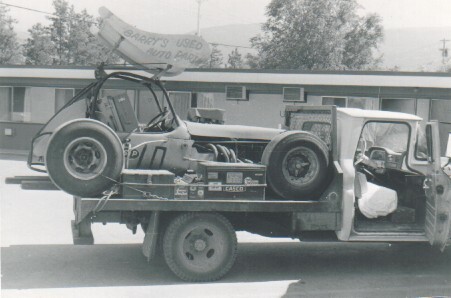 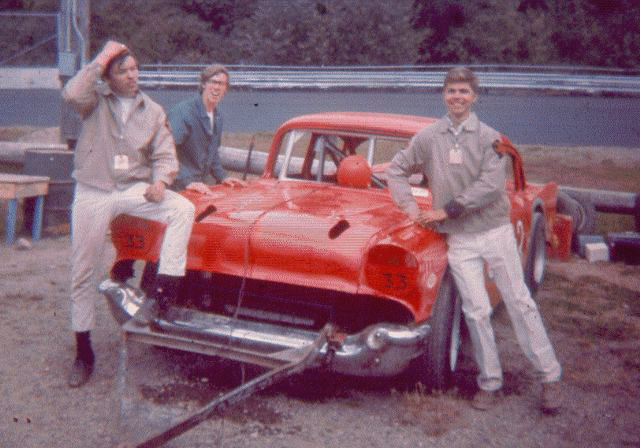 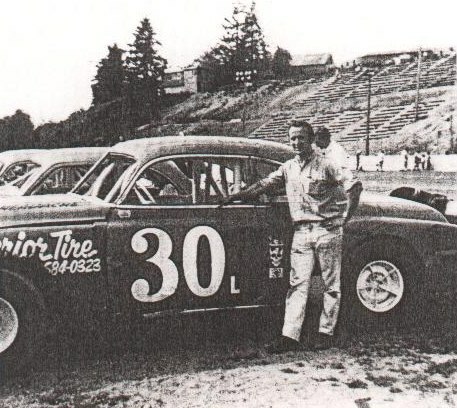 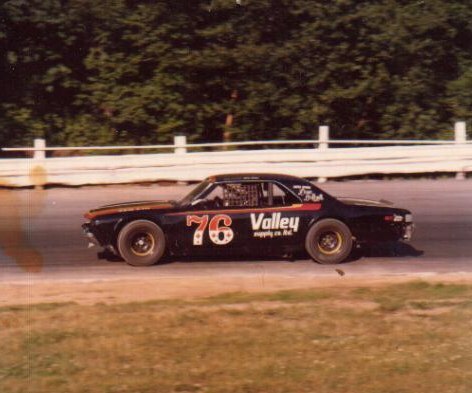 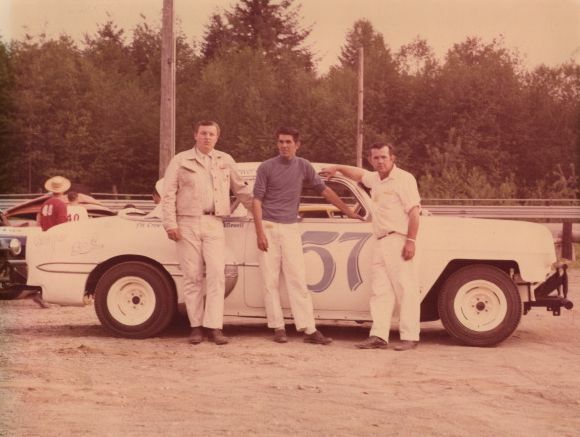 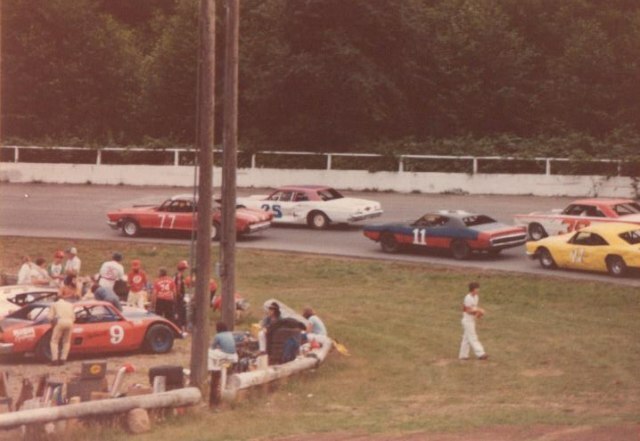 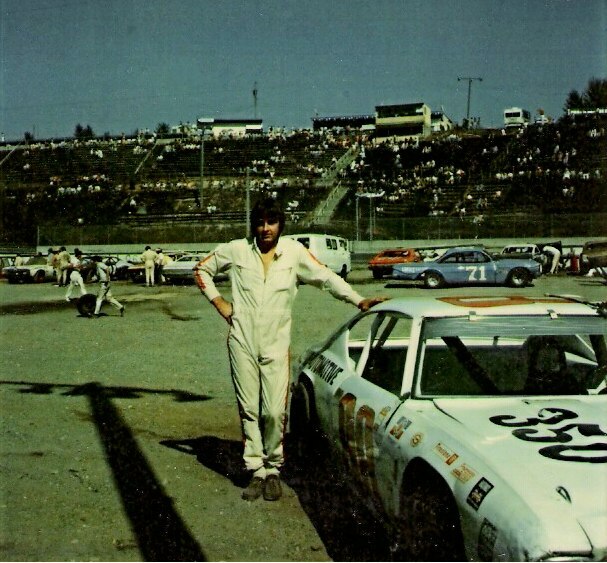 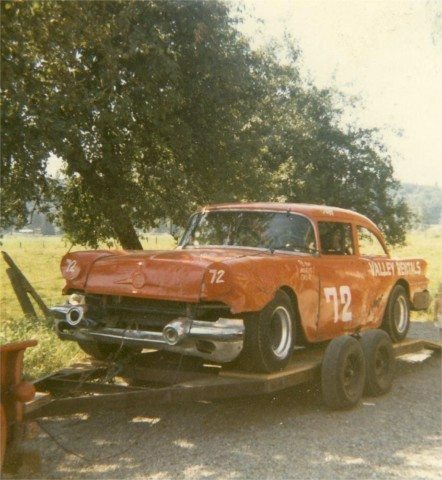 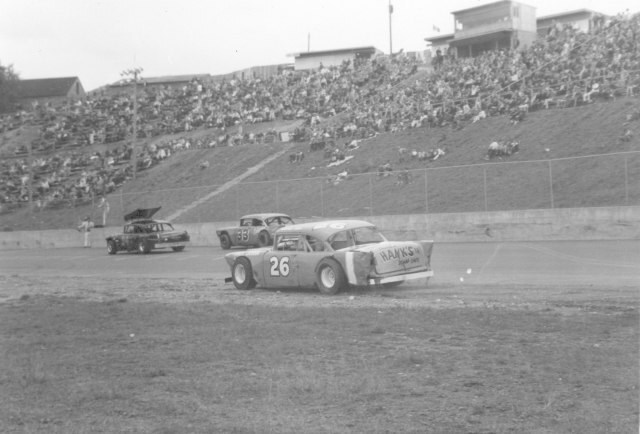 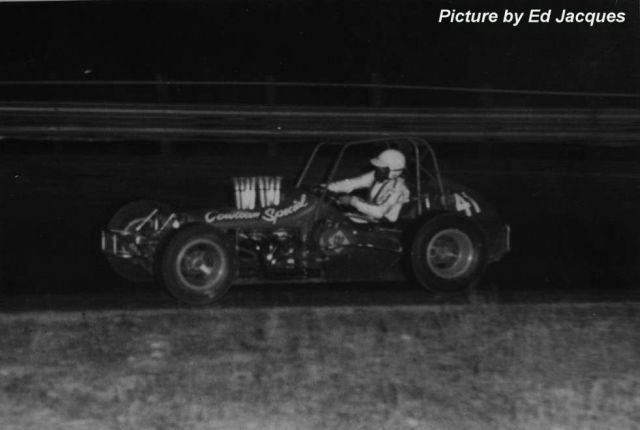 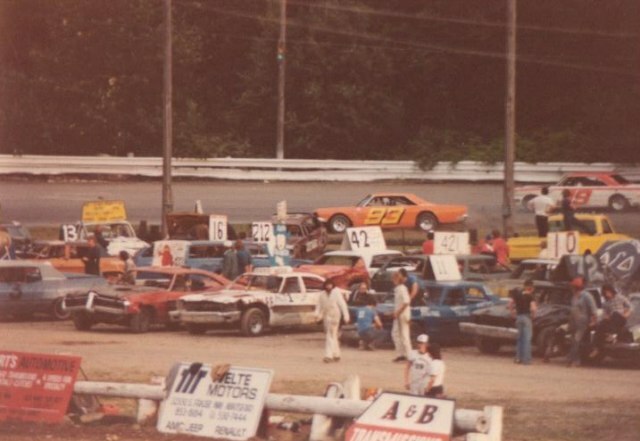 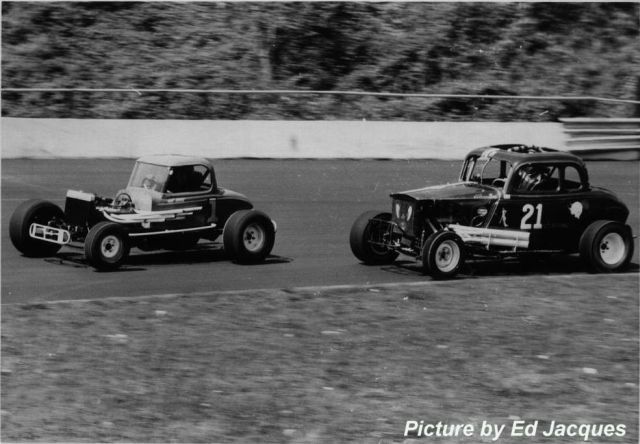 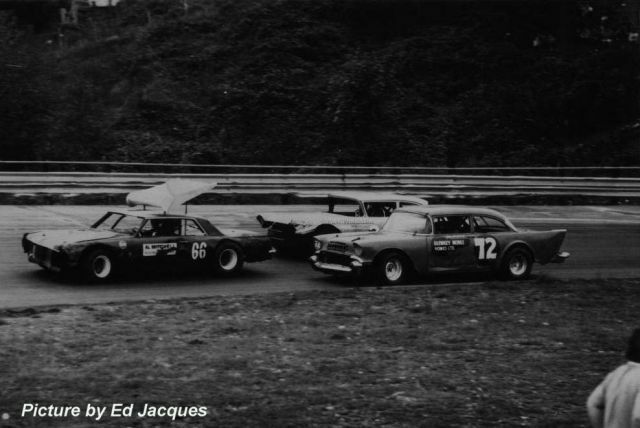 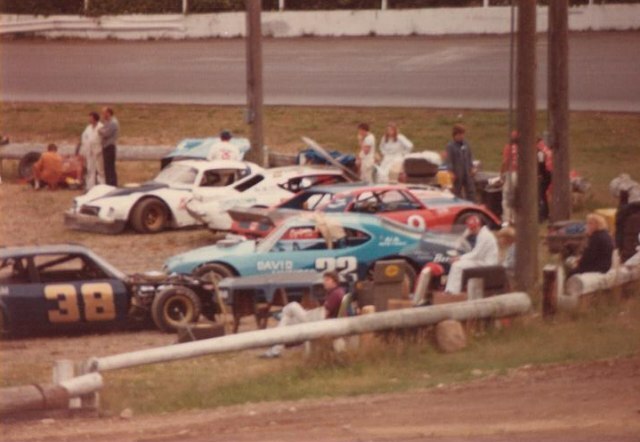 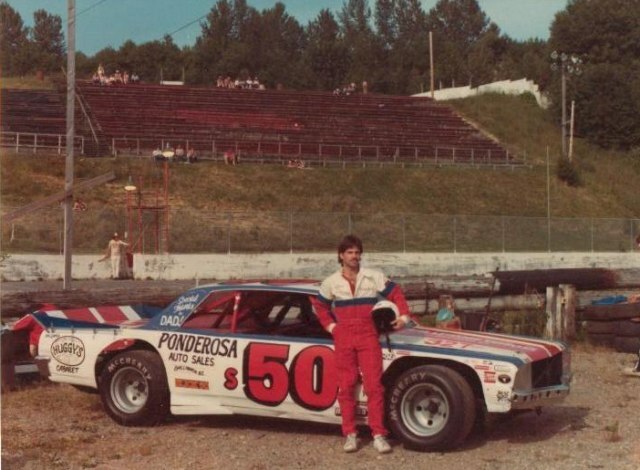 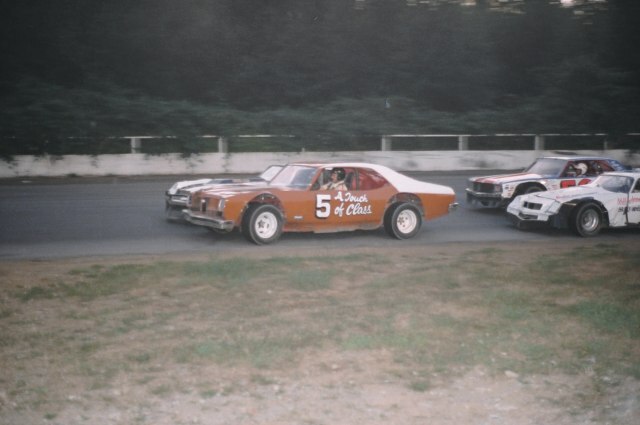 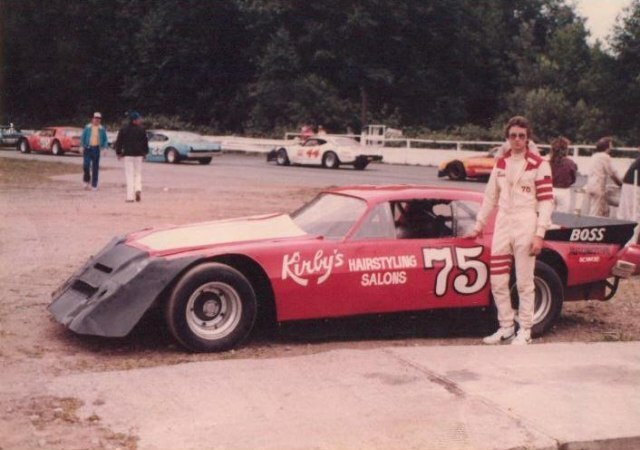 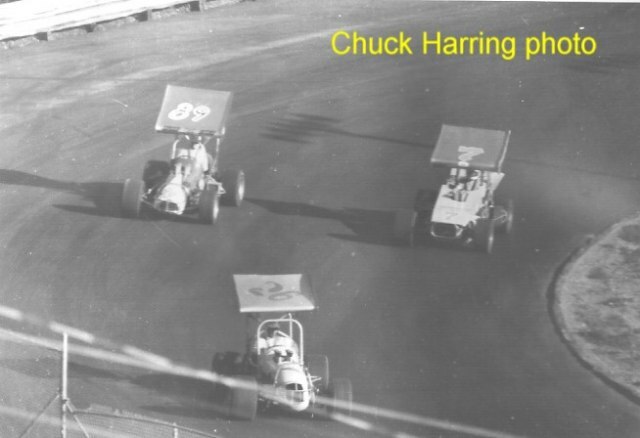 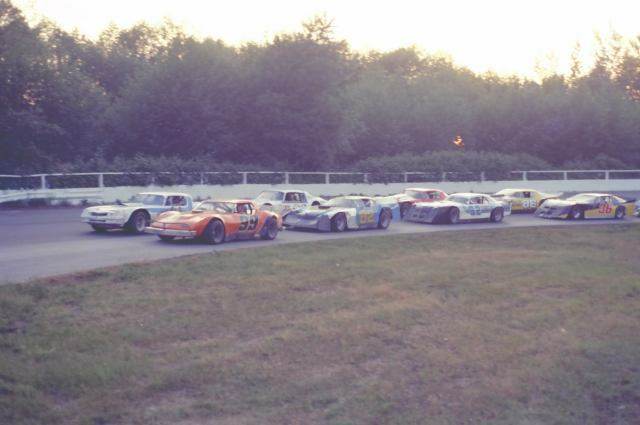 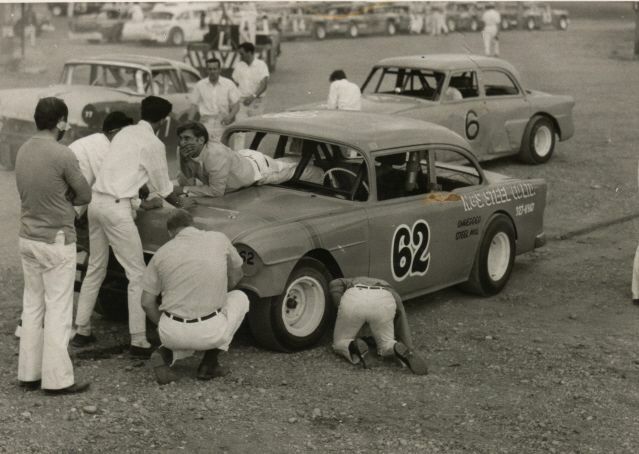 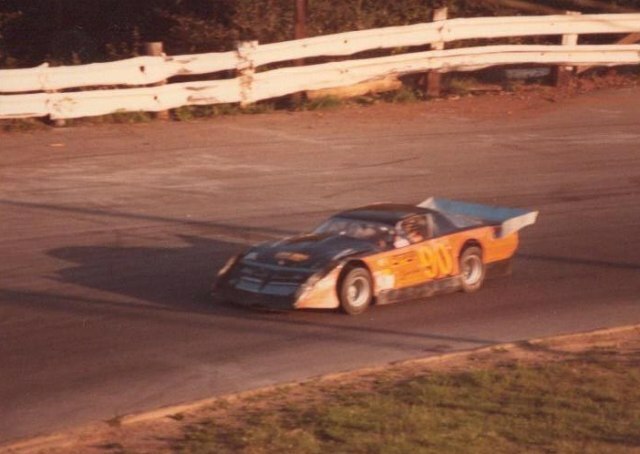 In the 1960's there were Early Late Models, "A" Modifeds, "B" Modifieds and "C" Modifieds. 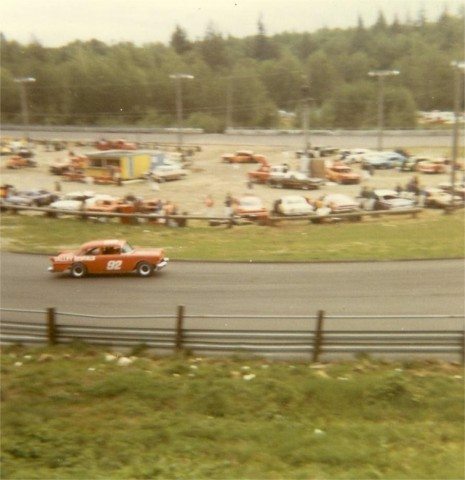 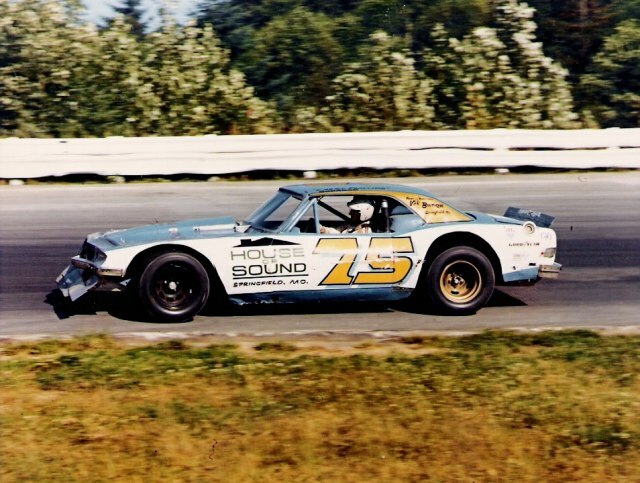 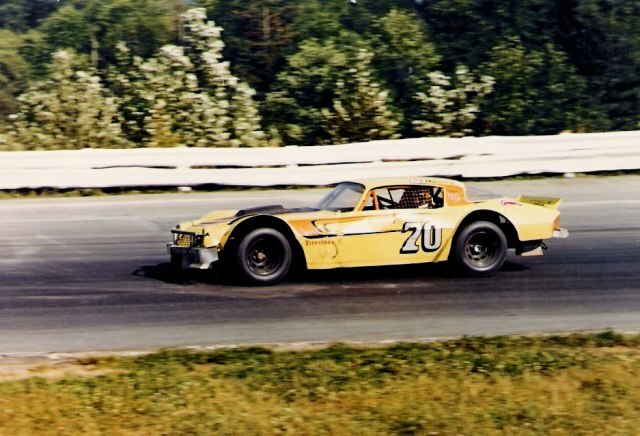 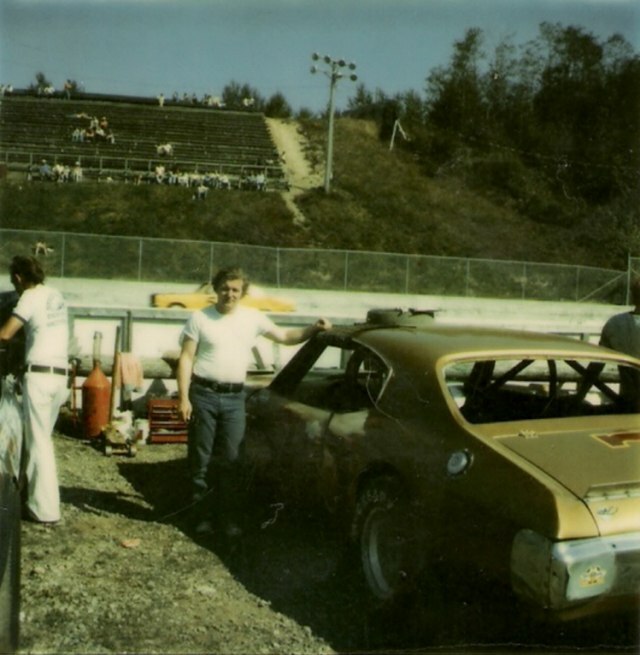 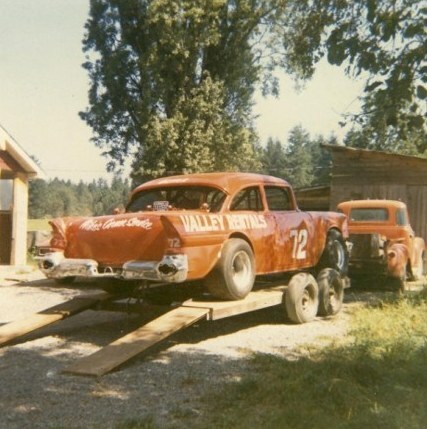 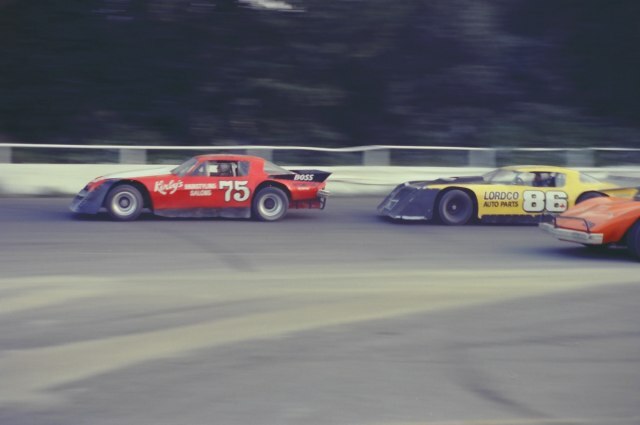 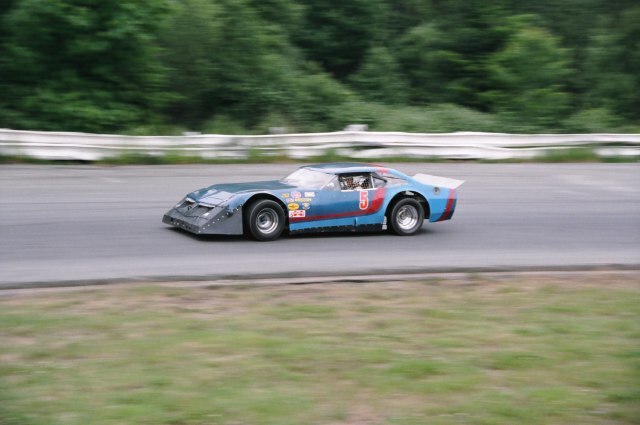 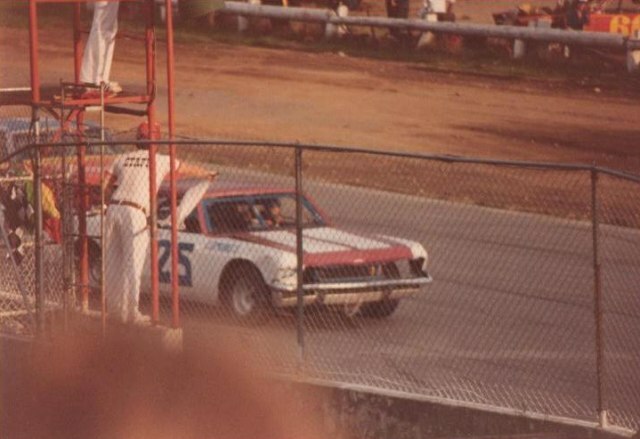 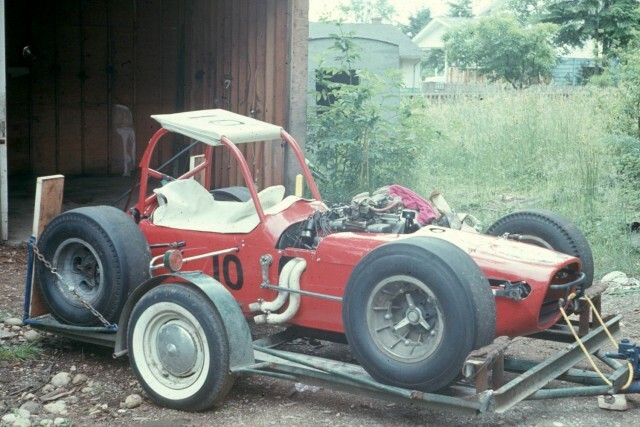 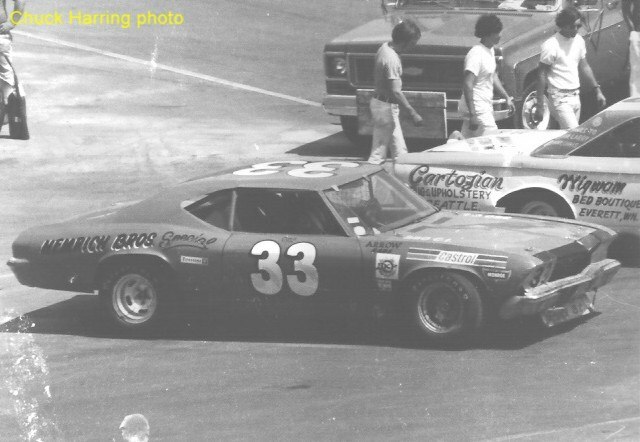 During the 1970's there were Limited Super Stocks, Claimers, Open Competition and Modified Sportsman. 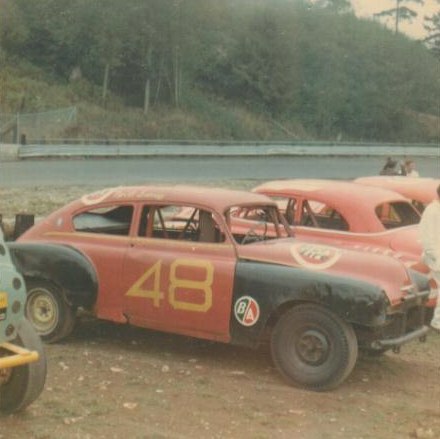 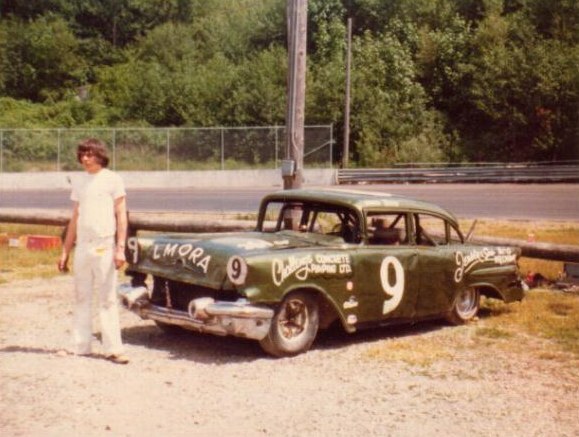 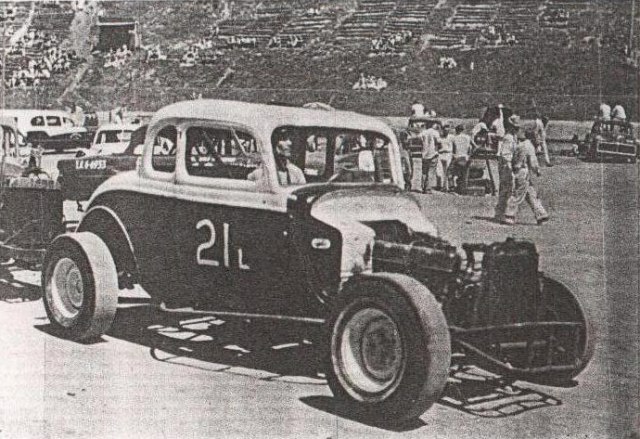 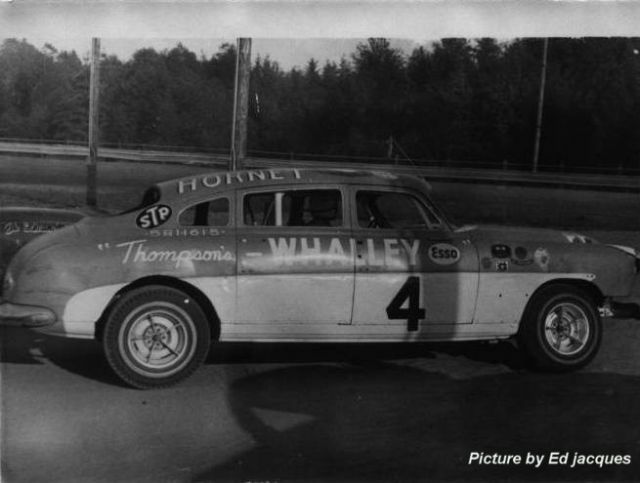 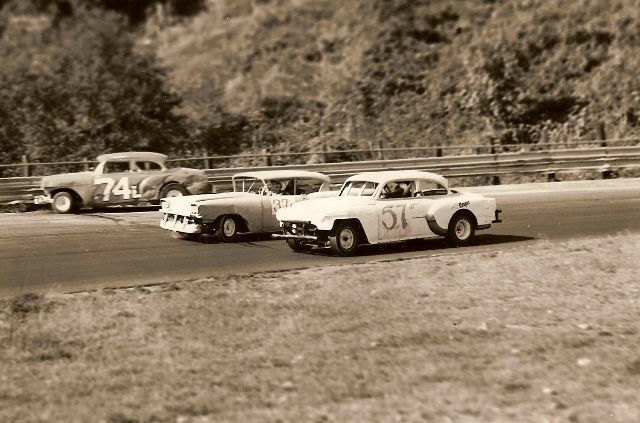 In the final years there were Late Models, Super Stocks, Street Stocks and Bombers. 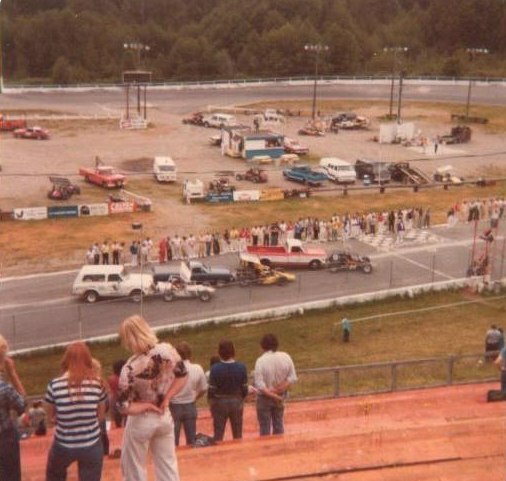 As can be seen in the photos below, the track surface is in great shape and the front wall is still standing. 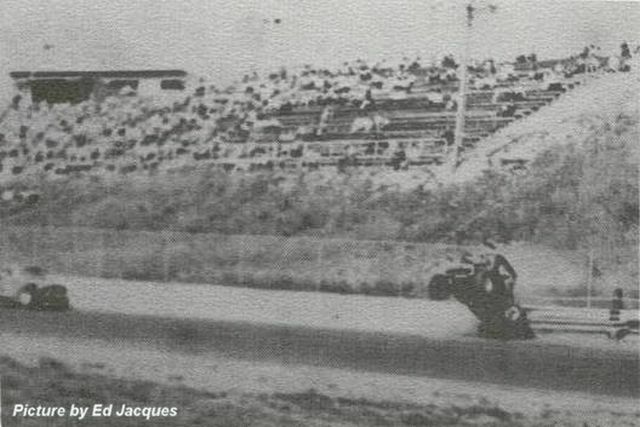 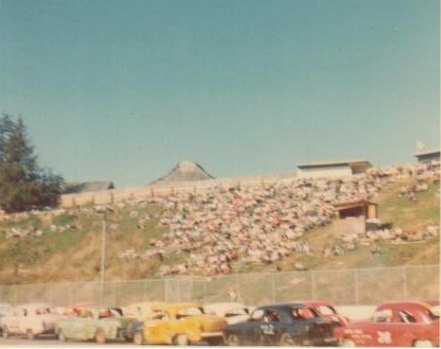 The grandstands were built into the hill that over-looks the front straight. 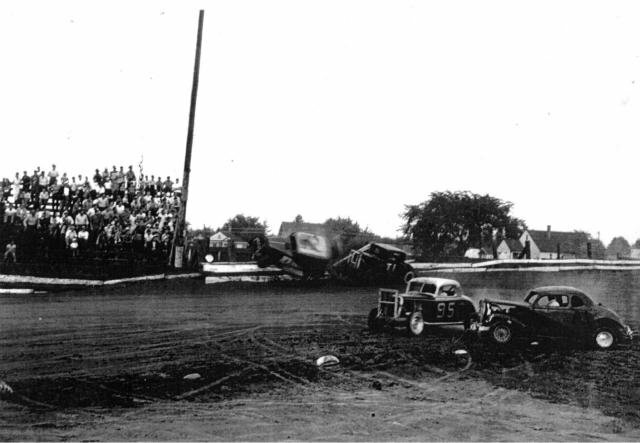 The stairways are still there but the grandstand itself is gone. 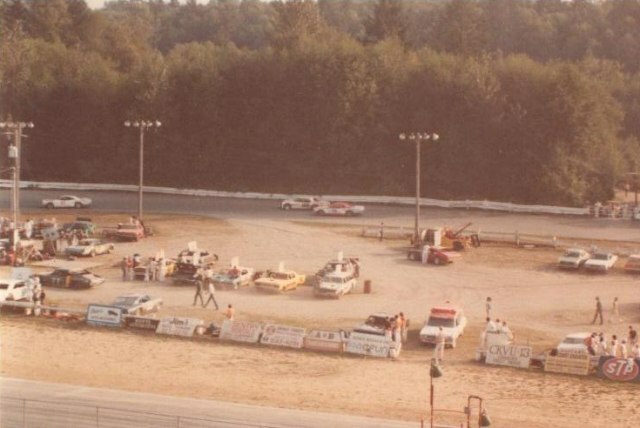 The pits were located in the infield but nothing remains. 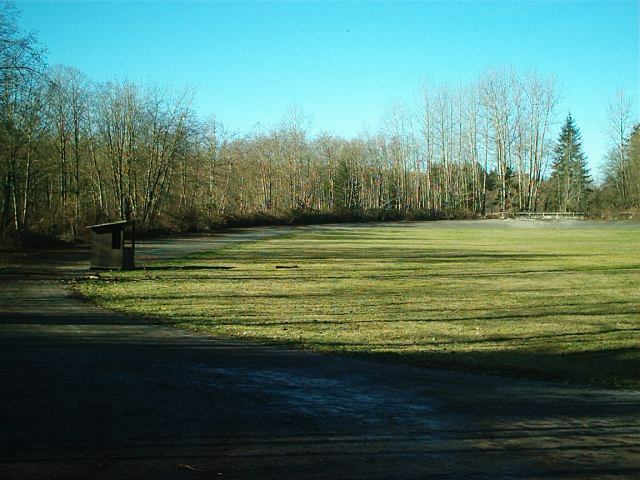 The infield has been cleaned up and re-sodded. 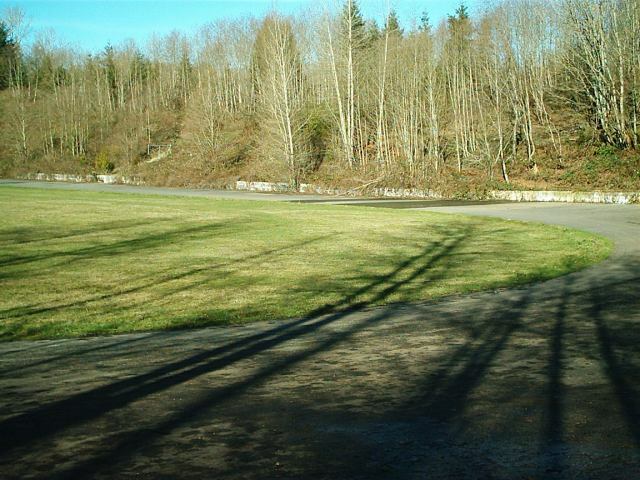 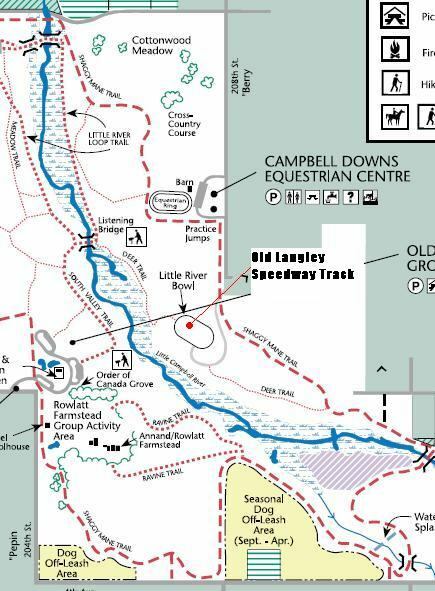 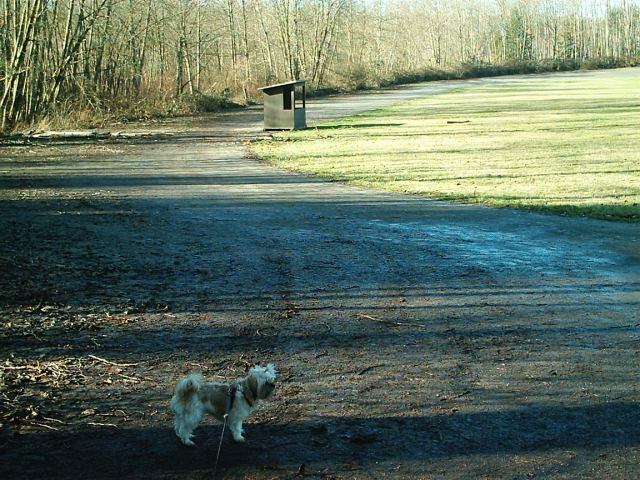 The track is located in the Campbell Valley Park and is accesible to anyone. 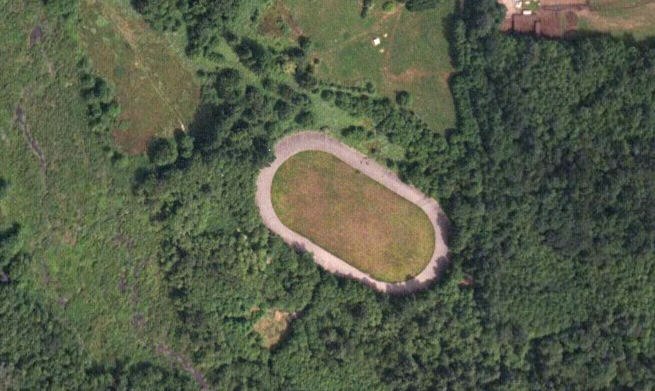 Click on the map to see the location. 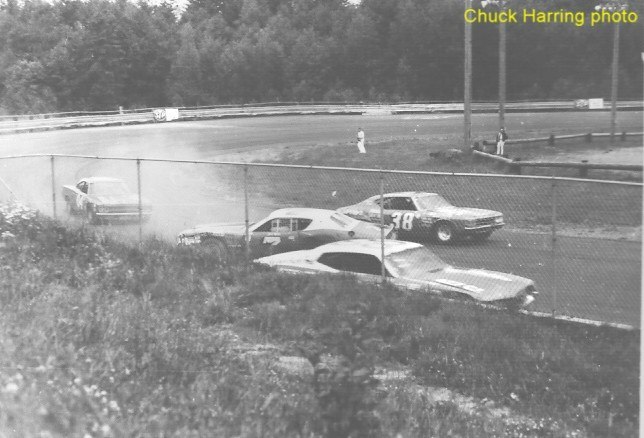 If anyone has any more information on Langley Speedway - photos, programs, points champions, etc please contact me webmaster@motorsportscentral.com. 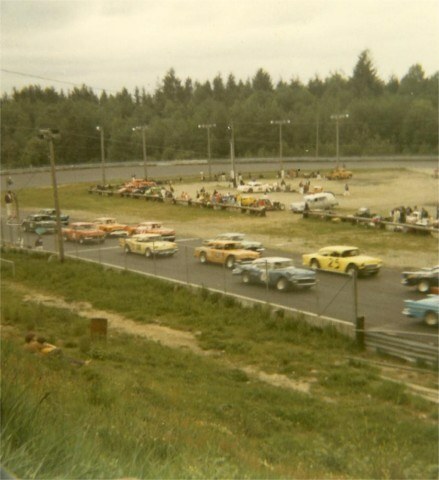 At the end of turn 3 looking across the track at the front straight. 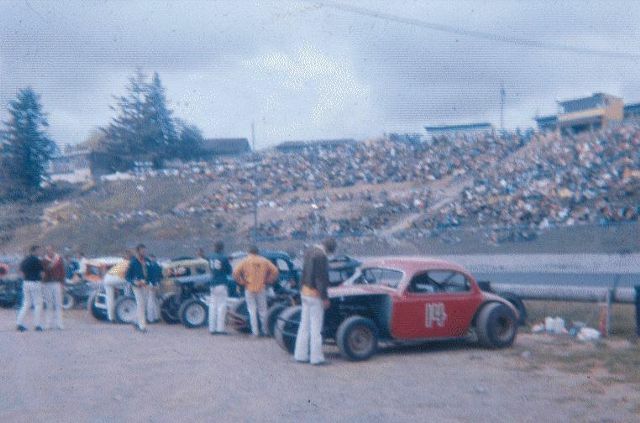 The grandstands were on this hill. 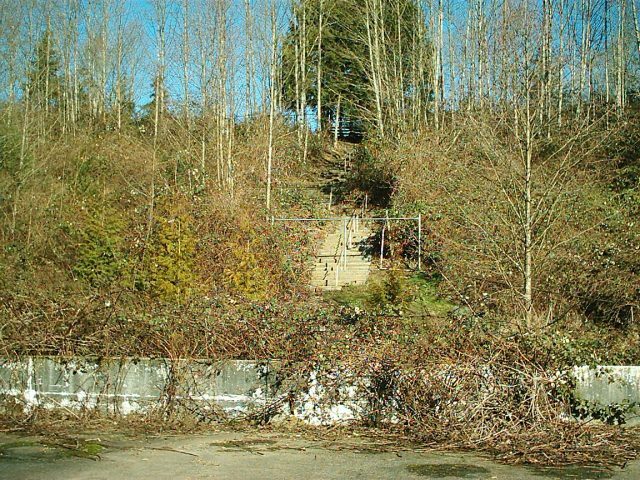 The stairs are still there. 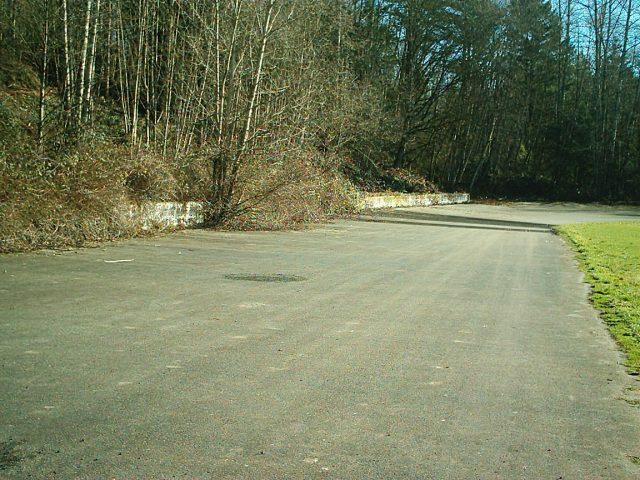 The entrance to the track from outside. 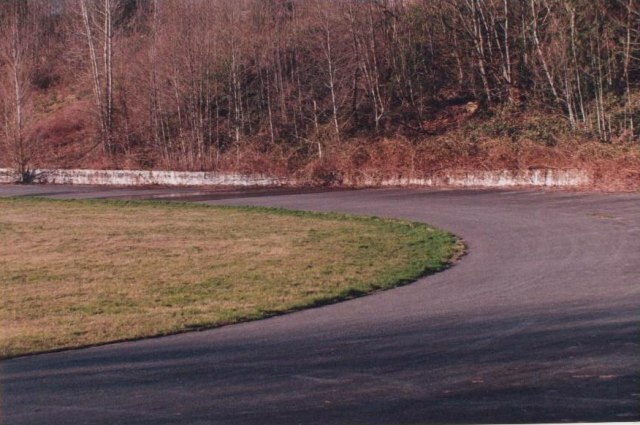 This is on the back straight. 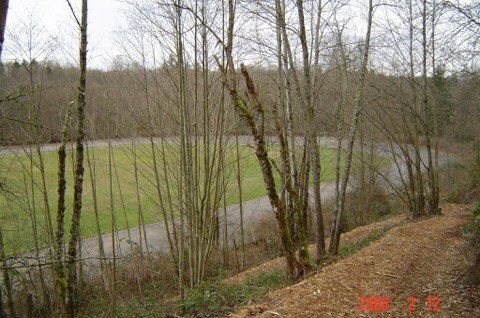 In turn 3-4 looking toward the front straight. 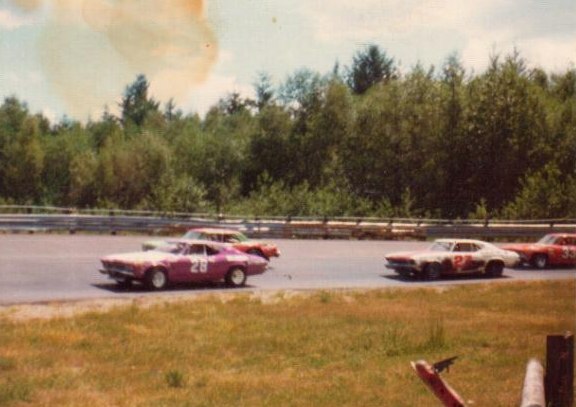 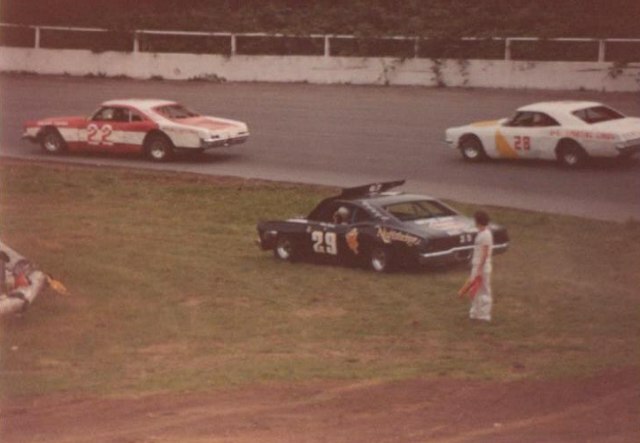 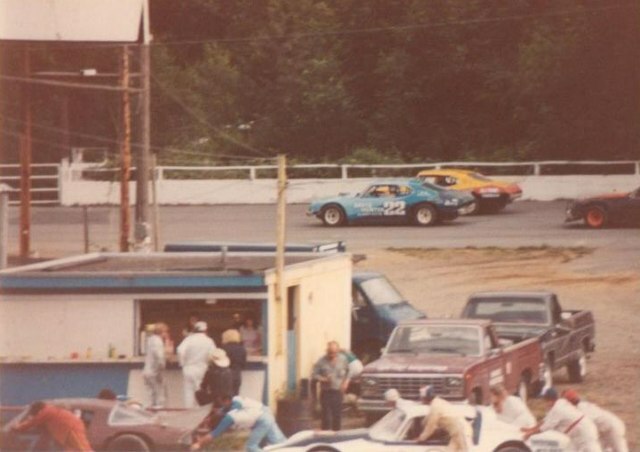 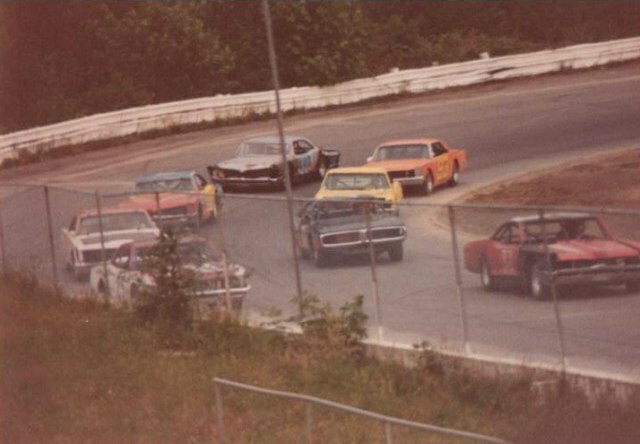 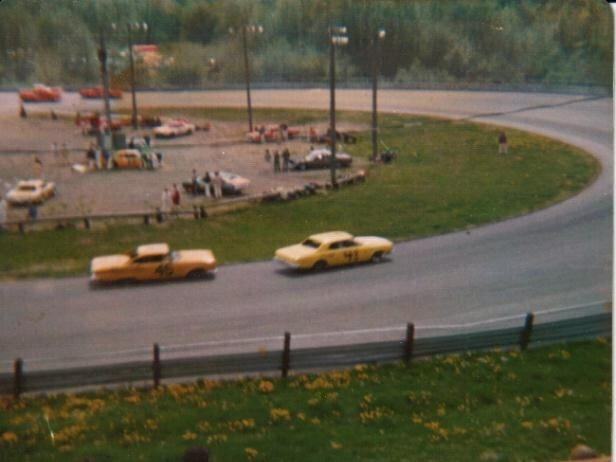 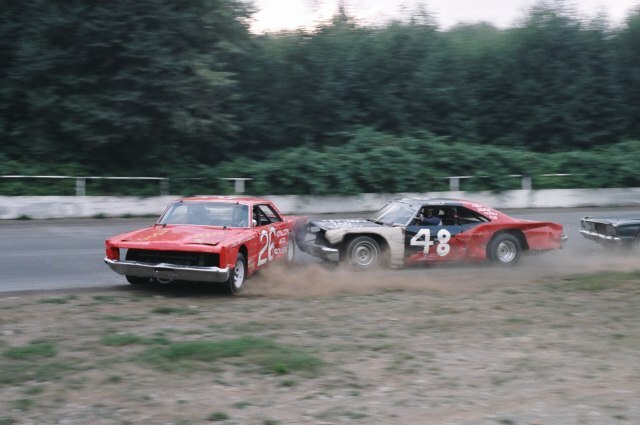 1975, Claimers in corner #1, car #48 Harold Oliver, car #45 Alan Kennedy.